Nike indoor shoes are designed to allow you to play great on indoor courts and make the most of your game. For those looking for Nike indoor soccer cleats that are focused on specific characteristics, Nike offers models designed for power, attack and control so that you can take your game to the next level depending on your specific needs. Nike footwear lines are some of the most desired indoor footwear because of their premium quality, comfort and performance that set them apart from many others. 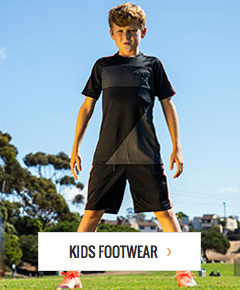 soccerloco offers the best selection of youth, men’s and women’s indoor soccer shoes by Nike at the best prices online. Shop from our extensive selection of Nike indoor soccer footwear and save with flat rate shipping and easy returns on all orders.